The new exhibition, which officially opens on Friday, features diversity in content and artists. 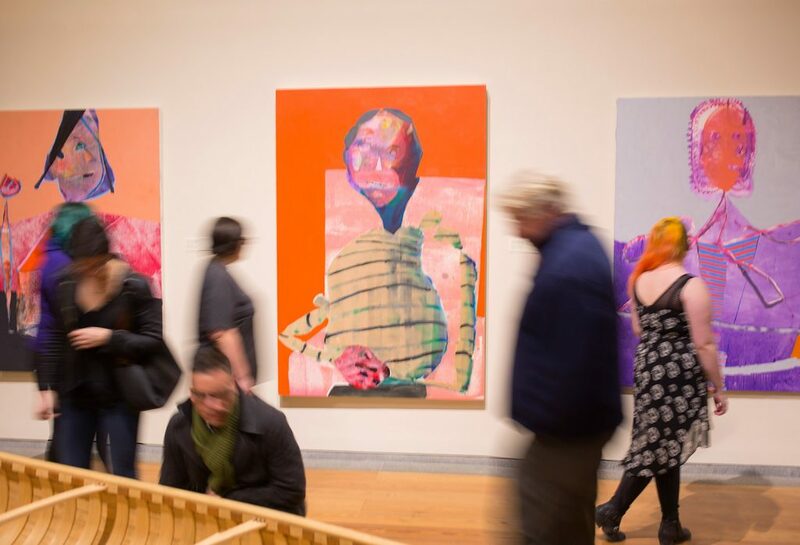 The Portland Museum of Art opened its 2018 biennial with a members-only party Thursday, drawing a full house for a first look at the year’s first high-profile art show. 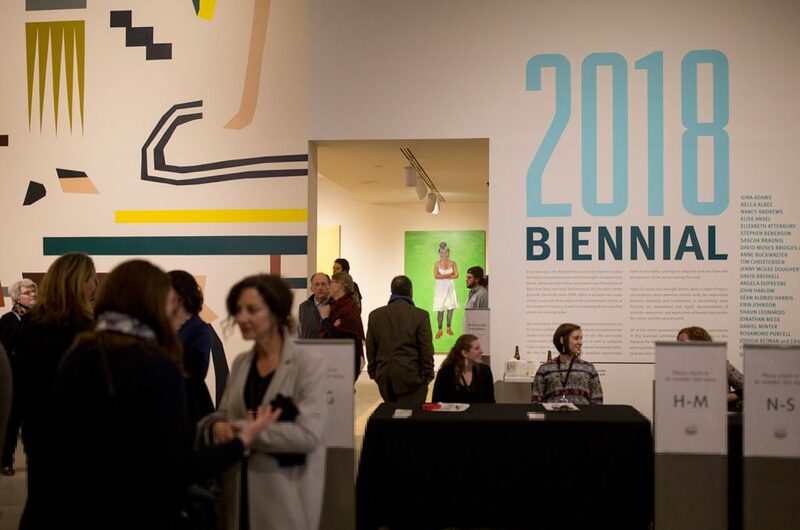 The biennial, with 60 works of art by 25 artists with deep ties to Maine, officially opens Friday and is on view through June 3. Guest curator Nat May, the former director of Space Gallery in Portland, chose artists who are thinking about the larger world and whose work mirrors Maine’s heritage and a sense of place in changing times. “We live in a complicated world, and we do have artists who reflect our times,” he said. Three works of art by Stephen Benenson hang on a wall as part of the Portland Museum of Art Biennial 2018 exhibit. The exhibit opened with a party on Thursday night for members and artists. To complete his task, he tapped the expertise of several contemporary art colleagues. 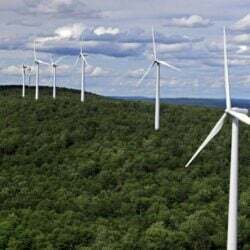 Among them was Theresa Secord, an artist and educator, founder of the Maine Indian Basketmakers Alliance and a National Endowment for the Arts National Heritage Fellow. 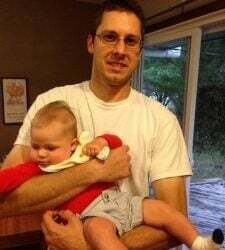 He also sought input from Sarah Workneh, co-director of Skowhegan School of Painting & Sculpture, who sees a lot of work and knows an array of artists associated with Skowhegan, both in Maine and New York. And he tapped the knowledge of Mark Bessire, the museum’s director. Collectively, the four chose artists whose work reflects the diversity of the world and the urgency of the moment. Among them is Portland photographer Sean Alonzo Harris, who is showing a series of images of men playing basketball. His photos are hanging next to paintings by David Driskell, one of Harris’ art-world heroes. 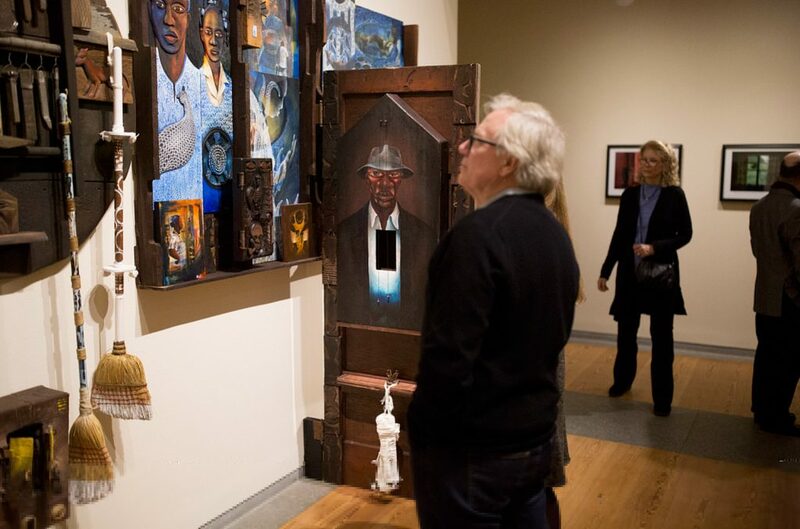 Visitor view work from artist Daniel Minter at the Portland Museum of Art Biennial 2018 exhibit. In addition to his photos in the biennial, Harris just opened a solo show at PhoPa Gallery in Portland, making this an especially important moment in his career. 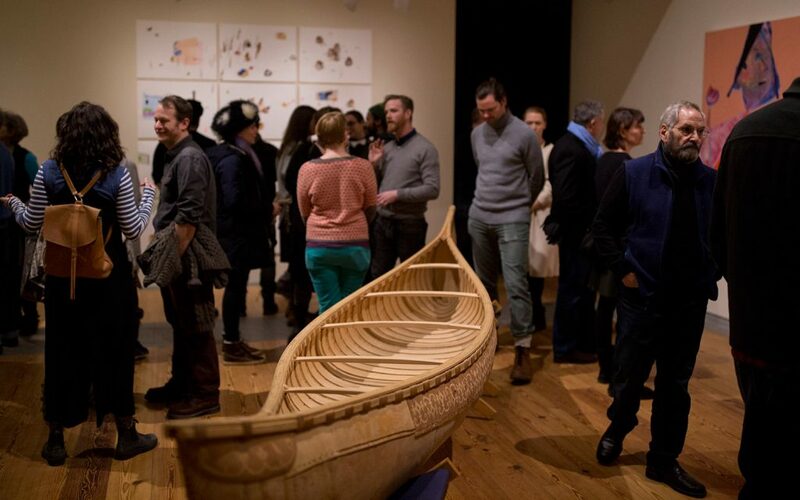 A birch-bark canoe made by David Moses Bridges and Steve Cayard was among the exhibits on display at the Portland Museum of Art Biennial 2018 opening party on Thursday night. There are paintings by Angela Dufresne and Stephen Benenson, Wabanki baskets by Fred Tomah and powerful large-scale charcoal drawings by Shaun Leonardo that reference police shootings of African-American youth.